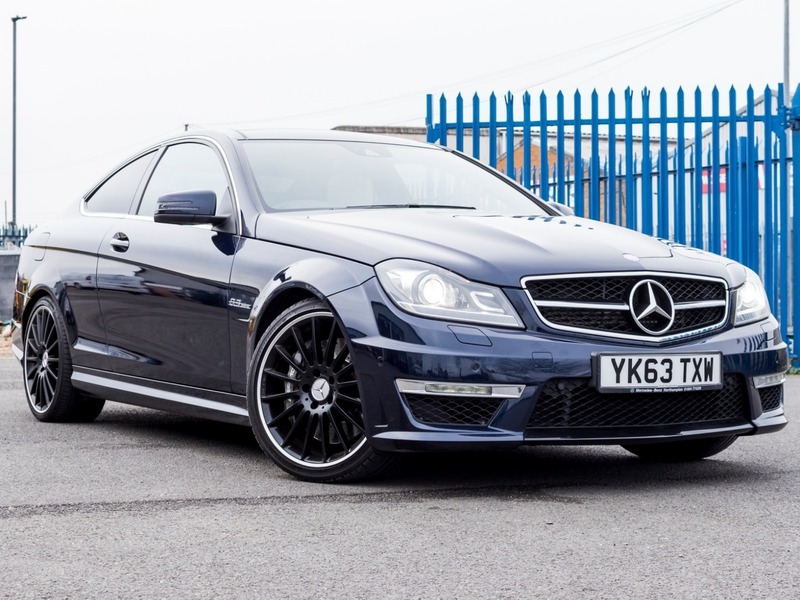 Sagitta are pleased to present this stunning low mileage C63 Coupe in Cavansite Metallic Blue with Full Cream Leather Interior. This C63 looks and sounds incredible plus it drives superbly. It's one of the best examples we have seen! It has the following additional options, Full Size Panoramic Glass Sunroof, Electric Seat Memory Package, 19" Multi Spoke Alloys, Upgraded Premium Sound System, Privacy Glass and Rain Sensor Wipers. This car also benefits from Full Screen Command/Satellite Navigation System, Bluetooth, DAB Radio, Heated Front Seats, Parking Sensors, Electric Heated Mirrors, Cruise Control and High Beam Assist. Full Service History (4 Services in total) 3 by Mercedes Dealers and the last service carried out by an Independent on the 30.08.2018. New MOT till February 2020 and 6 months Warranty.